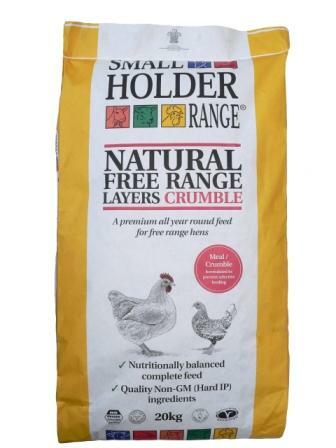 Smallholders Natural Free Range Layers Crumble can be fed all year round, on a free access basis. On average, hens will eat 100-150g (4oz) per day. As the hen's crop can only hold about 100g it is best to give grain or mixed corn separately, later in the day, or she will be unable to eat sufficient pellets or meal. This 1kg bag is weighed out from a large bag.